Upgrade the cooling efficiency of your VW Golf GTI turbo system by getting Forge Motorsport Intercoolers. Order on ModBargains.com or call 714-582-3330 to save today! The Forge Motorsport Front Mount Intercooler for VW Golf GTI [Mk VII] gives your car better performance with reduced turbo lag. If you bought the VW Golf GTI [Mk VII] with performance on your mind, then you need to upgrade the turbocharger system with the Forge Motorsport Front Mount Intercooler. The factory intercooler is fine for normal, daily driving, but if you want to drive the VW Golf GTI [Mk VII] to its maximum potential, you need a larger, more efficient front mount intercooler. The Forge Motorsport Front Mount Intercooler for VW Golf GTI [Mk VII] was specifically designed to fit perfectly with little modification to your car for an easy installation. 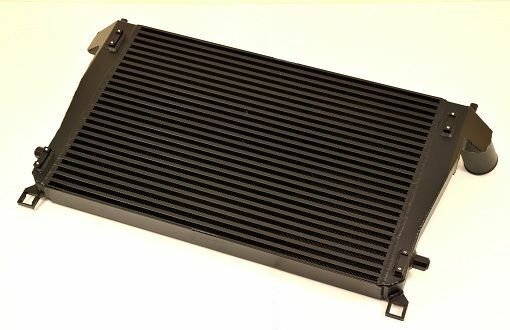 This is new intercooler from Forge for the Mk7 Golf fitted with the latest EA888 2.0 TSI engine. Volkswagen have changed just about everything from the Mk6 to the Mk7 chassis, so this core has had to be designed from scratch in order to fit in with the redesigned radiator and condenser. The upgraded intercooler includes all the mounting hardware, couplers, and hoses to ensure that you have everything you need to install the intercooler. You don't need to cut anything on the car as this intercooler was designed to fit without the need to heavily modify your car. 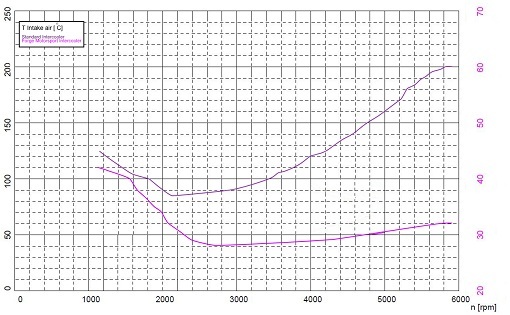 Forge Motorsport did heavy dyno testing on their Front Mount Intercooler to ensure that it efficiently reduces intake temperatures and provides performance gains throughout the powerband. Available with red, blue, or black hoses.